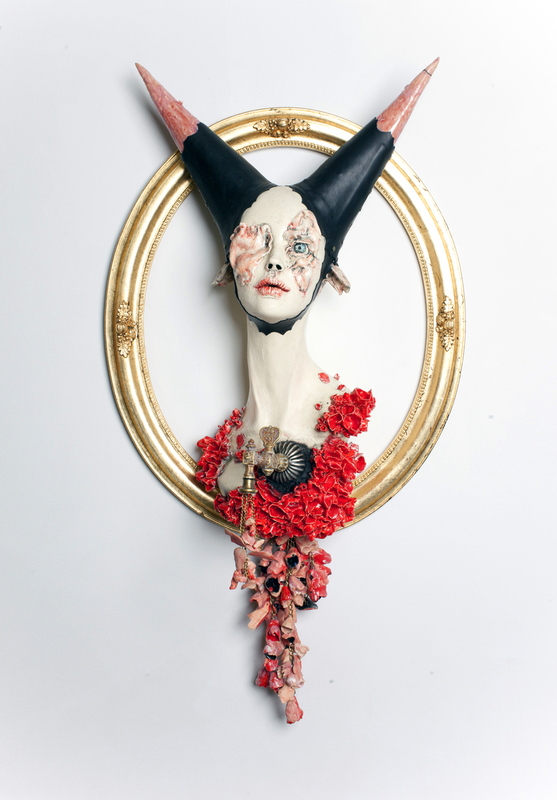 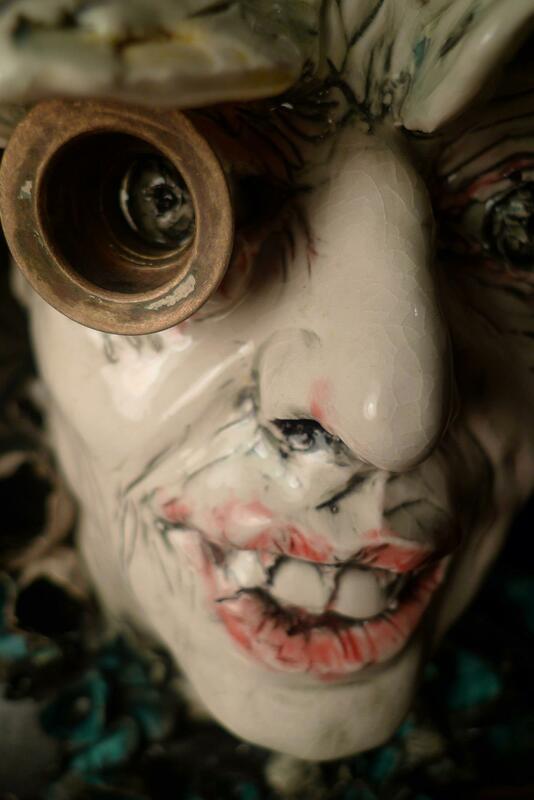 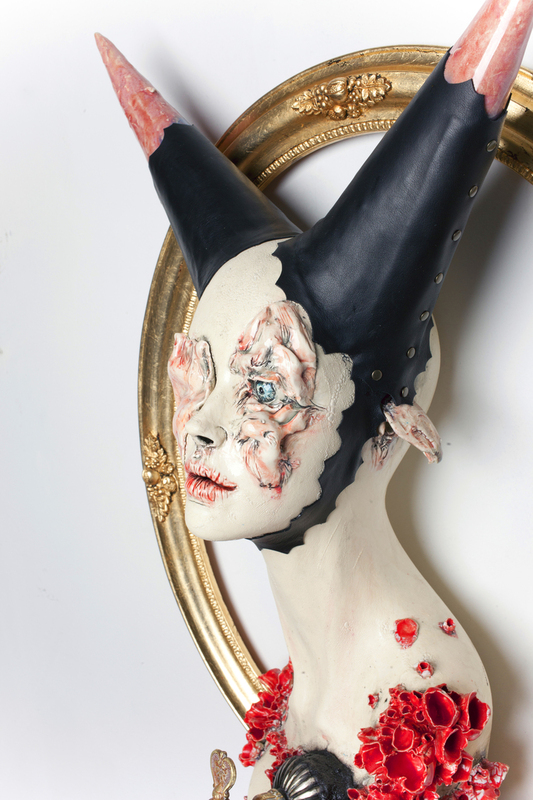 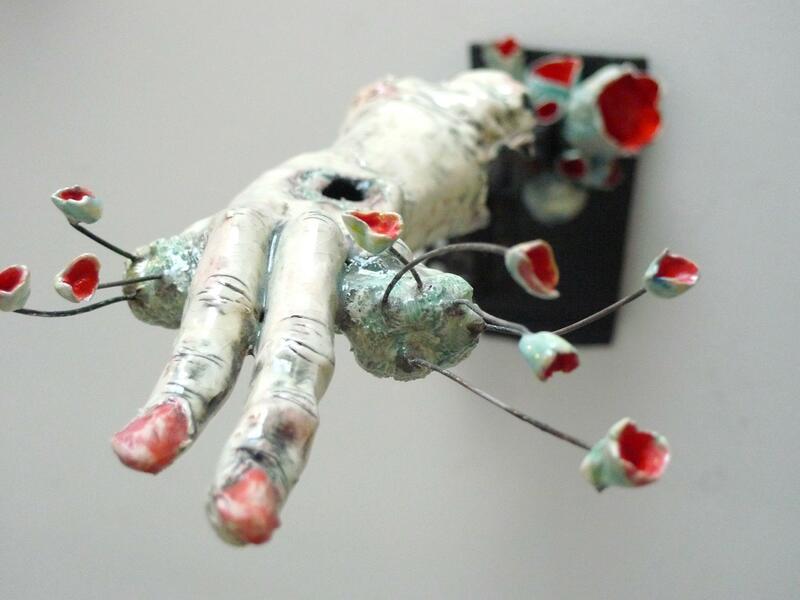 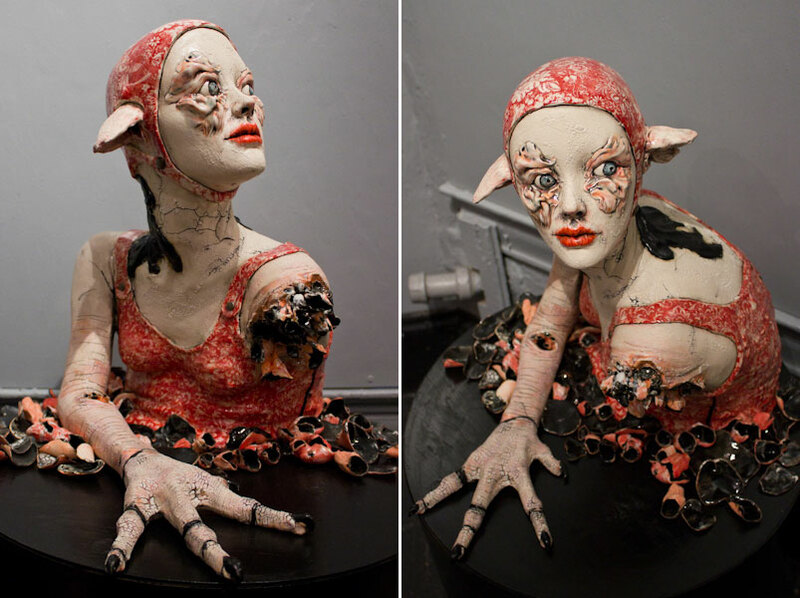 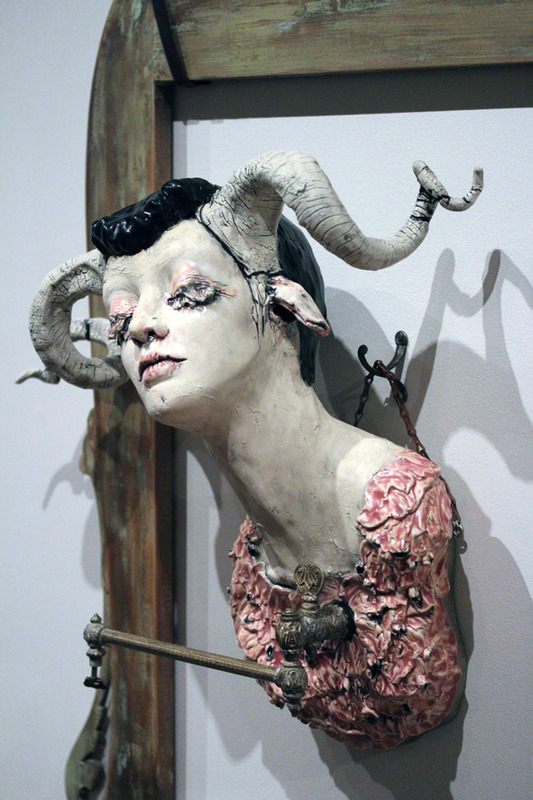 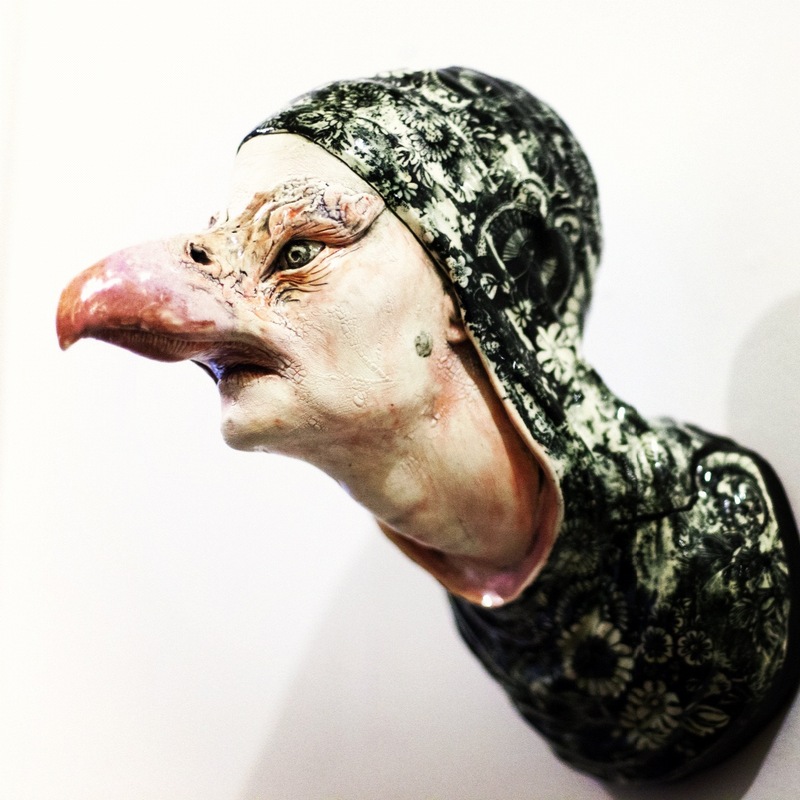 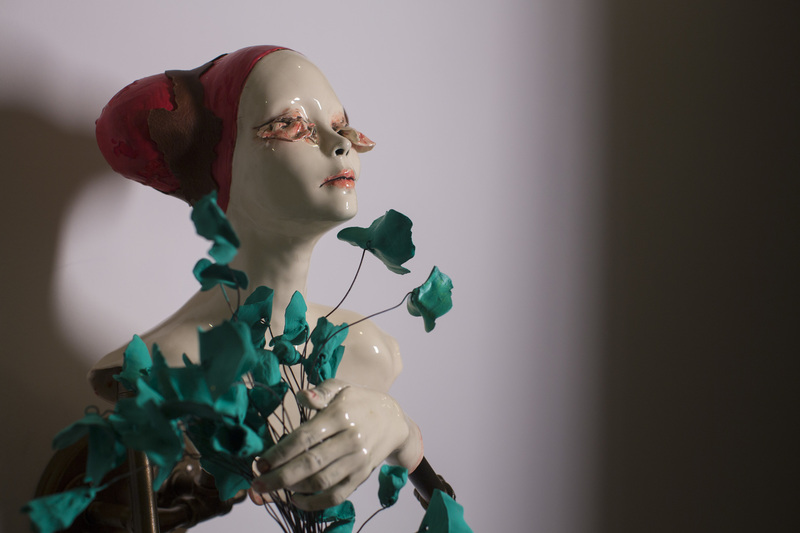 Disturbing beautiful sculptures by Sarah Louise Davey are painted ceramic, embodying creatures with tortured, glazed stares, and strange growths either covering their eyes or framing them like sick, rotten petals of flesh carved out around an astonishingly open iris. 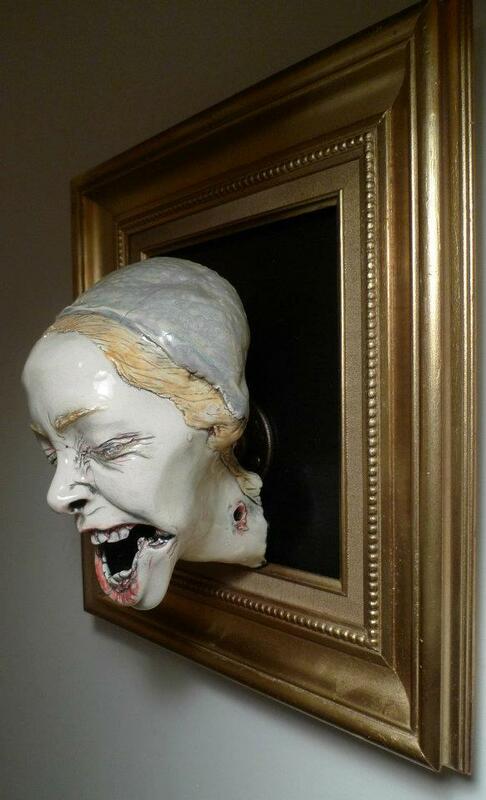 They look like paintings on porcelain, and the bold, dark lines sketching their features out against the chalky whiteness of the ceramic hold a horrific and fascinating quality. 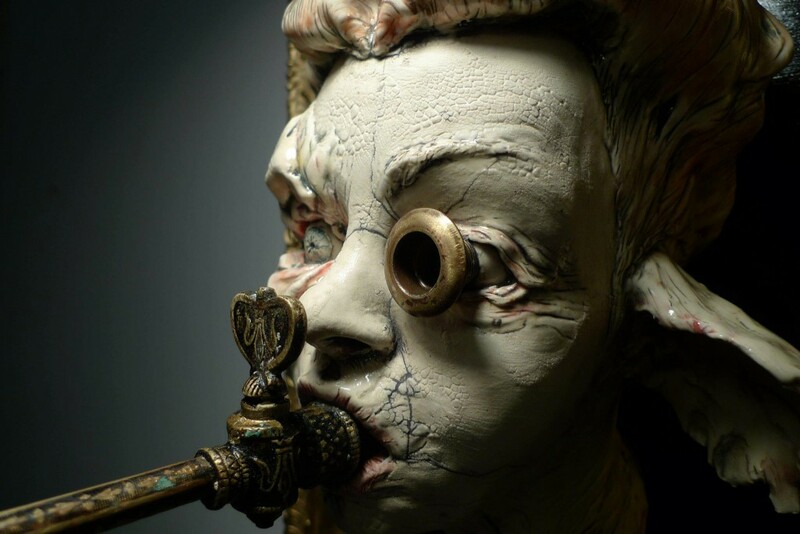 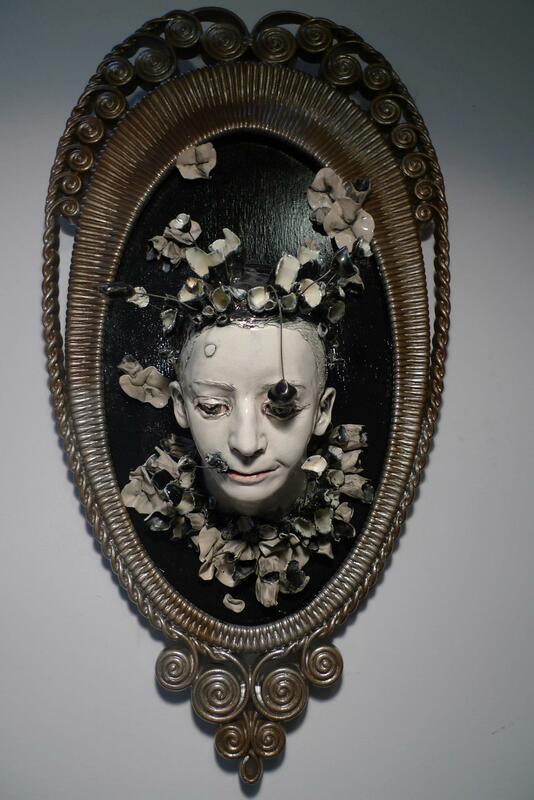 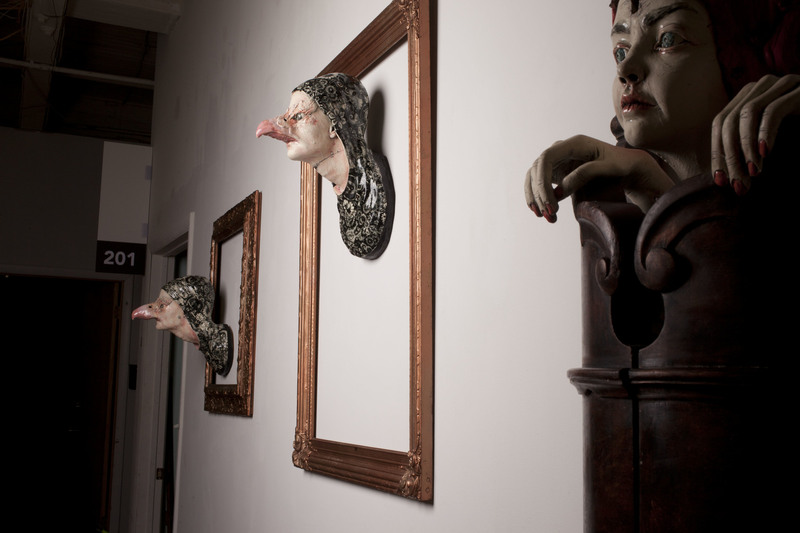 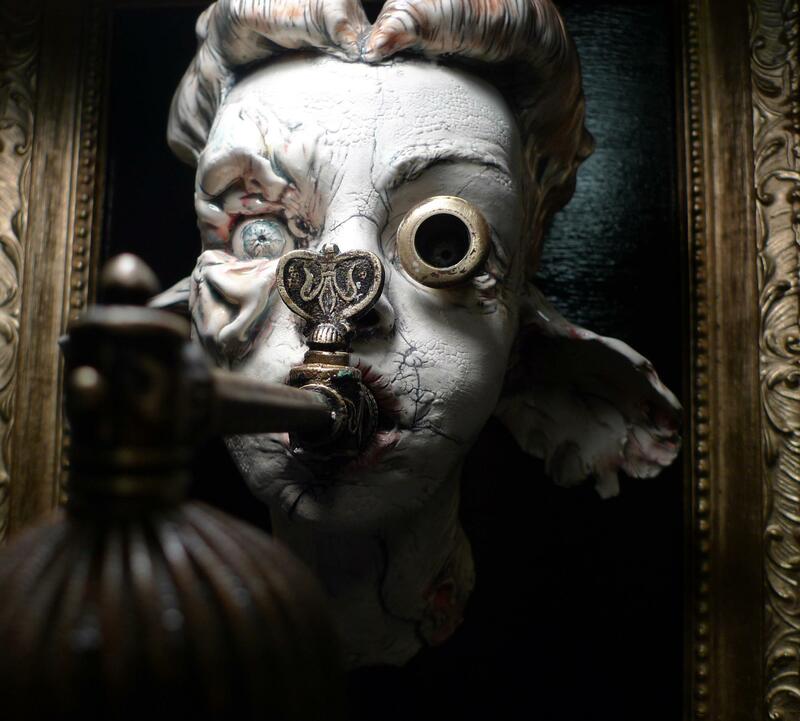 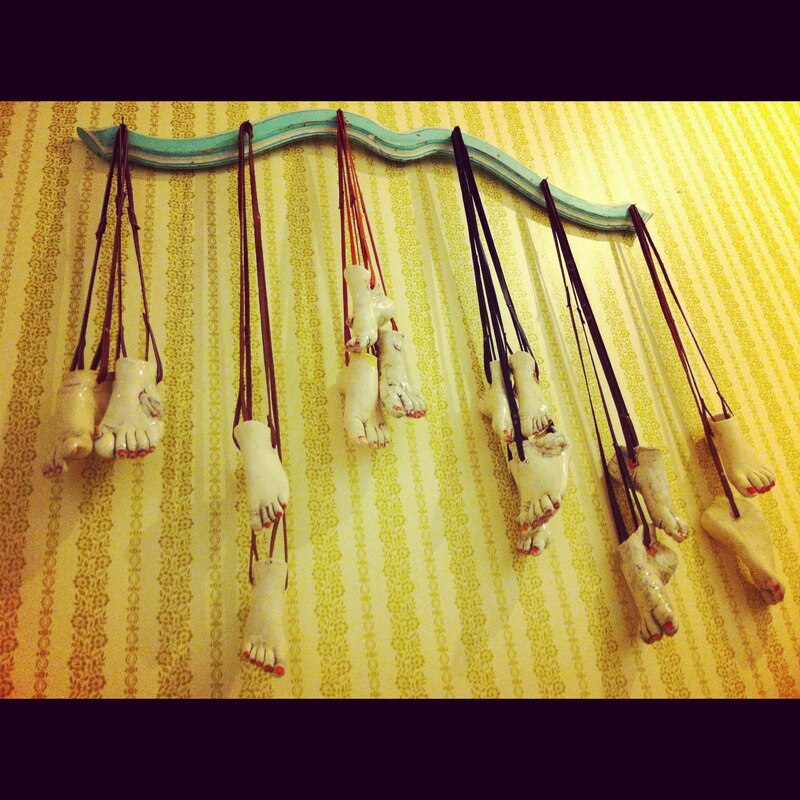 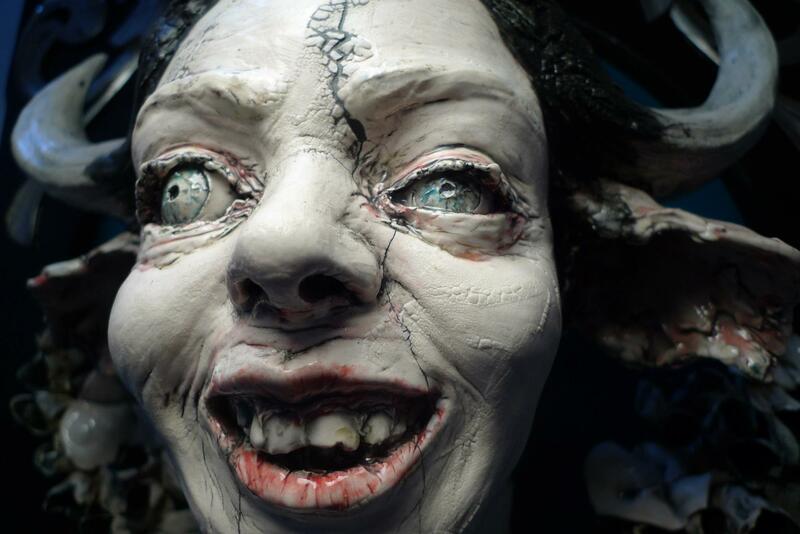 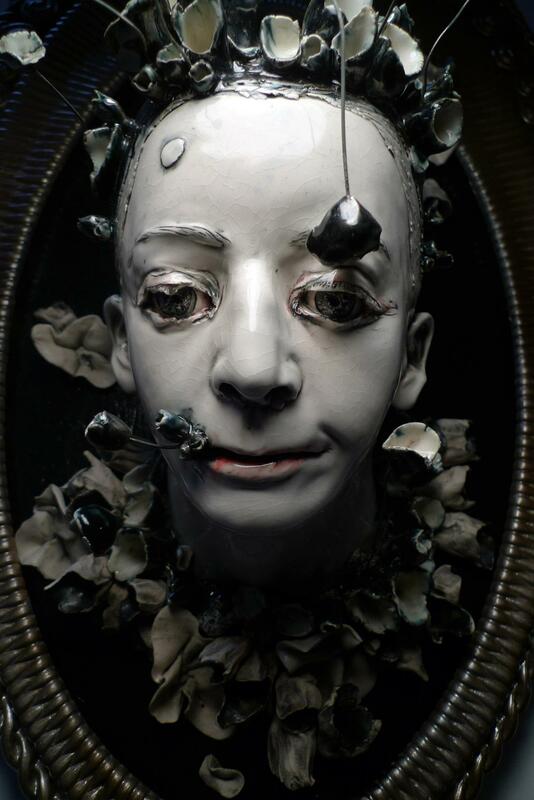 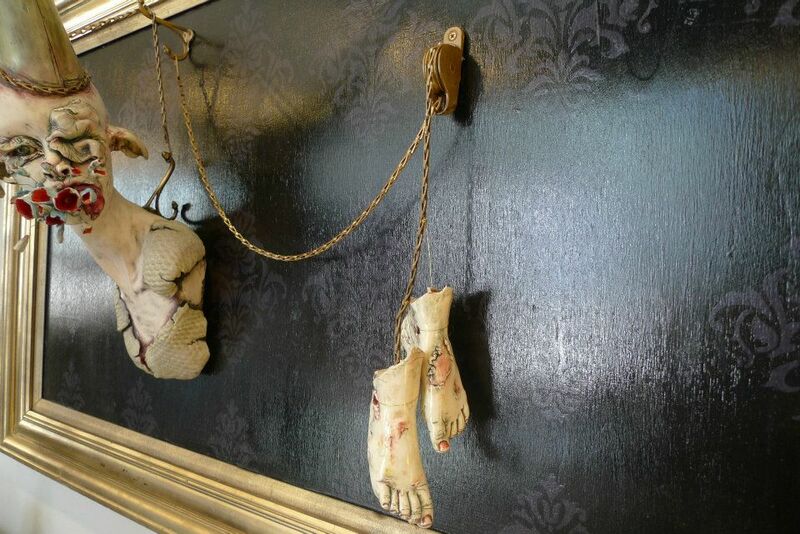 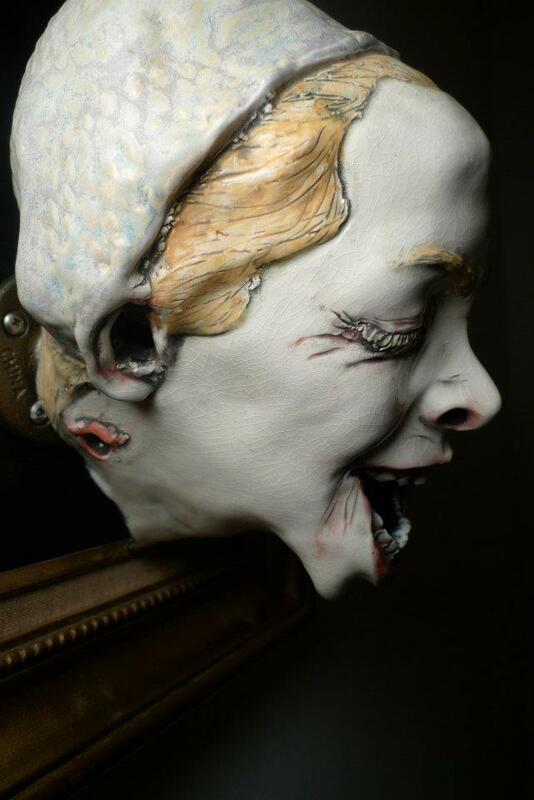 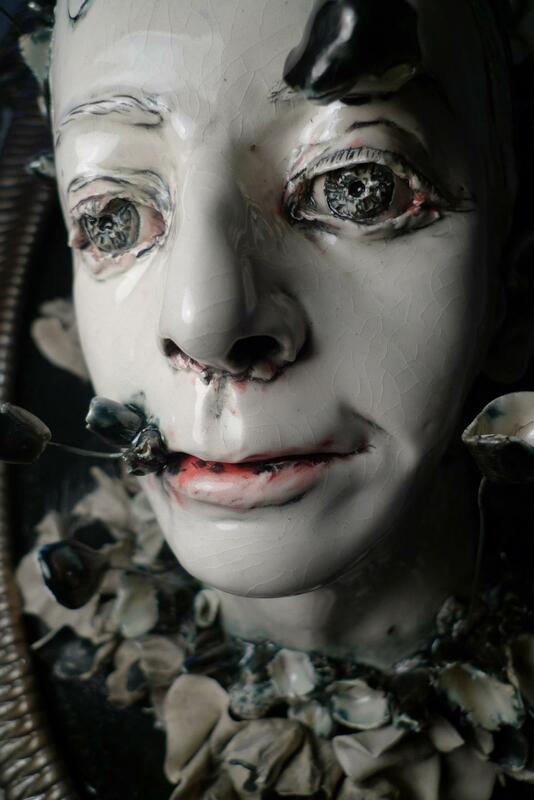 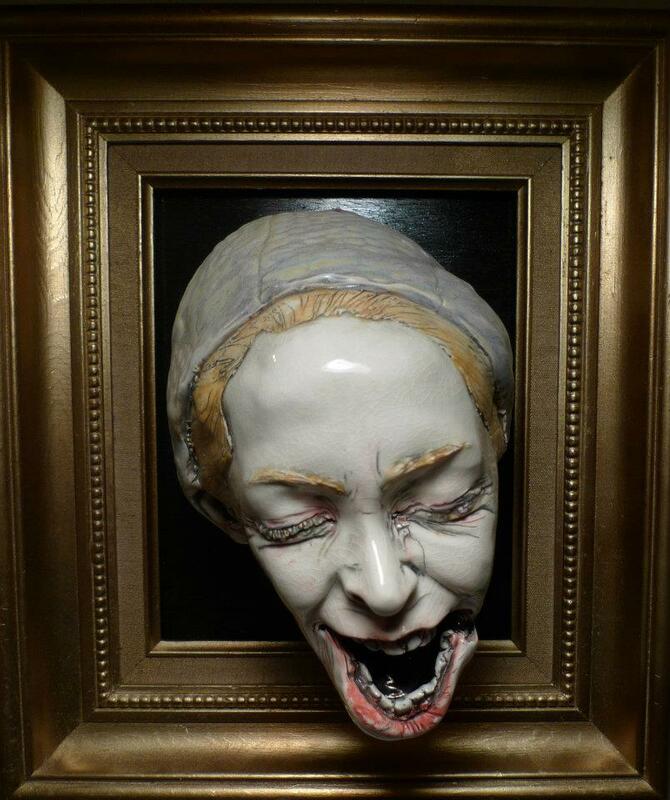 Inquietantes sculptures de Sarah Louise Davey, incarnant des créatures torturées, aux regards vitreux, avec souvent des excroissances étranges – couvrant les yeux ou la bouche. 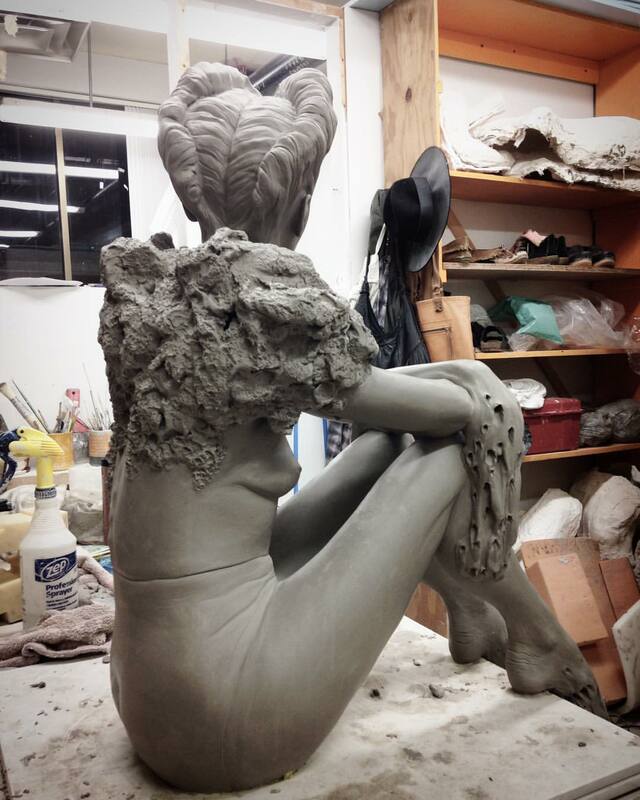 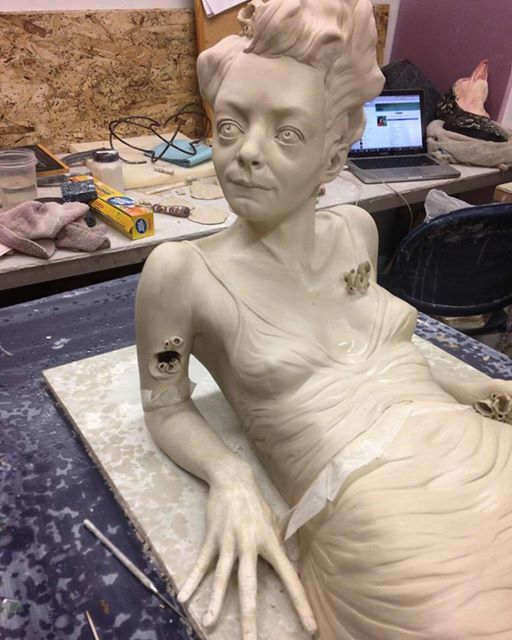 Ses sculptures ont un aspect porcelaine, une blancheur crayeuse leur donnant une aura nauséabonde et fascinante.